From Avery Dennison and Boeing, Bloomberg, The Coca-Cola Company, Continental, Dyson, Ernst & Young, Fonterra, Fuji Xerox, GlaxoSmithKline, ING and Johnson & Johnson, to Rio Tinto, SAP, Tesco and Wood Group... the companies registered to attend FEM's APAC Global Mobility Summit are practically an A-Z of some of the world's biggest brands. On Thursday, 6th September, the FEM team will welcome delegates to our 2018 APAC Summit. Expect an intense day and evening of learning and networking where you can join like-minded global mobility professionals, industry experts and HR specialists from across the Asia Pacific region including Australasia. 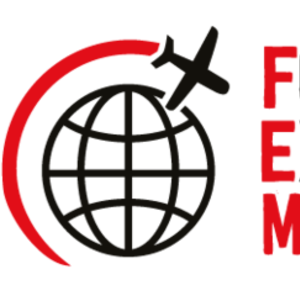 This year, as we at the Forum for Expatriate Management (FEM) celebrate our 10th anniversary, we want to ensure that both in-house global mobility professionals and service providers are able to maximise all the opportunities at our Summit, so our 2018 agenda offers access to all ticket holders from the very start to the end of the day. As ever, in-house global mobility professionals can attend for free, and service providers just need to reserve a Day Pass. As you probably know, this year we are not holding a gala dinner, but all Summit attendees will be welcome to join us for this year's EMMAs presentation which will take place at a drinks reception following the FEM APAC Summit. The Summit and EMMAs take place at the Singapore Expo, Max Atria in the eastern part of Singapore, recently named the Best Business Event Venue 2018 at the Singapore Tourism Awards. Located just one Mass Rapid Transit (MRT) stop or a 5-minute drive from the Changi International Airport, and a 15-minute drive from the Central Business District (CBD) it is ideally situated for those with a busy schedule - make sure it's part of yours. Entry deadline extended for the EMEA EMMAs! How do you manage your Global Mobility function?